It's the Christmas Bake Sale and mom has cooked up some delicious gingerbread man cookies! 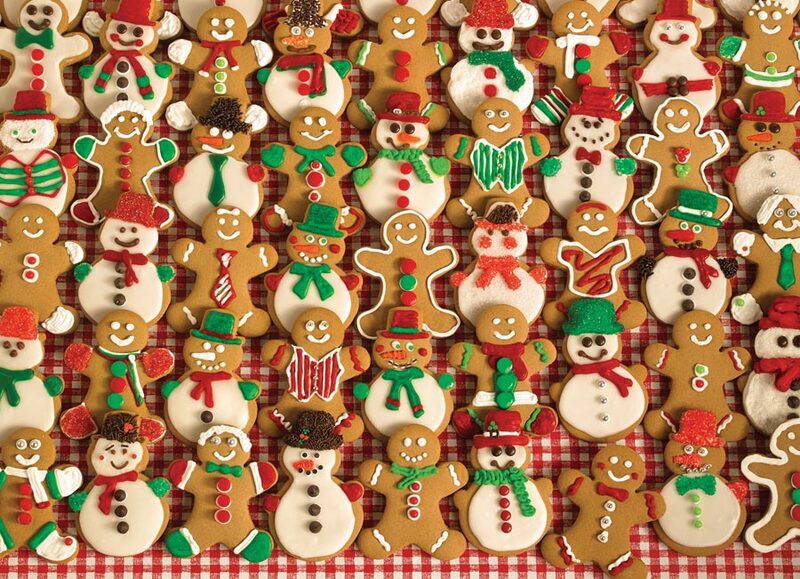 Fun decorations with delicious candies and frosting, no two gingerbread men are alike. Enjoy them with the Family Puzzle, Gingerbread Houses. Item # 51764 Weight 1.61 lbs.